Come explore the gorgeous Vanuatu Islands for a day, a few days or an extended trip on board our charter boats Nevagivup and Reel Capture. 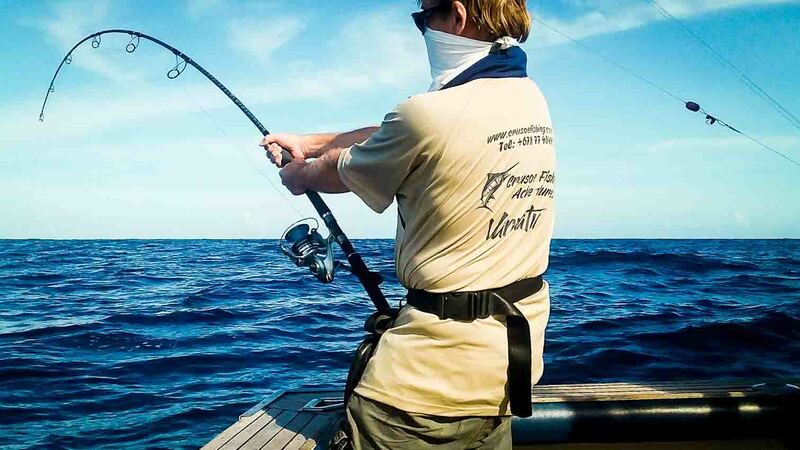 As Vanuatu’s longest game fishing operator with a few world records under our belt, we guarantee your experience with Crusoe Fishing Adventures won’t disappoint. Charles and Michelle know a thing or two about fishing. When you jump on board a Crusoe boat, you’re in expert hands. Husband and wife team Charles and Michelle Wheeler have been fishing for more years than they can remember, and have won awards and snagged world records to prove it. Having operated Crusoe Fishing Adventures in Vanuatu for the last 18 years, Charles and Michelle have the experience, knowledge and enthusiasm to make your next trip to Vanuatu a real adventure you won’t soon forget. Just a few reasons to choose Crusoe. We use the same gear you do. Nobody wants cheap, shoddy gear. Including us. We supply you with the same top-quality, well-maintained gear that the pros use. 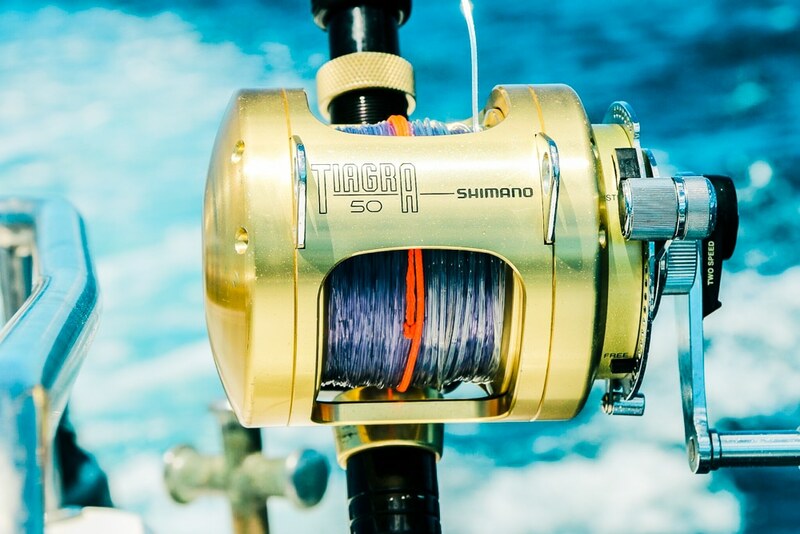 We only use top-quality Shimano reels and Ian Miller rods and an assortment of the latest game fishing lures. All of our tackle meets IGFA regulations and is ready for setting the next record. Our boats are custom-built for adventure. 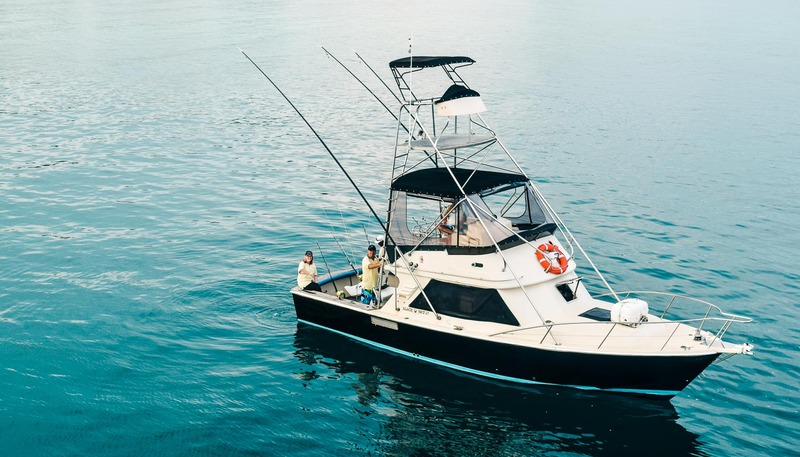 Both our 34-foot charter boats are built for game fishing in all weather and sea conditions, offering comfort with speed and style. Outfitted with top-quality gear and technology, your experience on board Nevagivup or Reel Capture is guaranteed to be second to none. We live to fish. And we want you to love it as much as we do. That’s why we make sure your experience on-board Nevagivup or Reel Capture is complete. All you have to do is tell us when and how long you want to go fishing and we’ll arrange every other detail. We sort out food, drink, supplies and any other requests you have. You’re here to enjoy yourself, so we take care of all the boring stuff. Just remember to bring your hat and suncream. We cater for all styles of fishing. Whether you prefer stand-up heavy tackle fishing or fighting from our game chairs, we are more than happy to accommodate your requests. Congratulations to Arrum who caught his first Blue Marlin on board Nevagivup with Captain Charles Wheeler and Deck Hand Richard Vanosevi. Even if you're not sure about all the details just yet, we're happy to hear from you. Fill out as much as you can, or simply put everything in the message field and hit Submit. We'll get back to you as soon as we can. © Crusoe Fishing Adventures, Vanuatu. All rights reserved.